“From Russia with Love,” moves to St. George Museum of Art, St. George, UT. “In My Wake” has its initial opening at Works/San José, San Jose, CA as part of the exhibition “Shifting Tides”. “From Russia with Love,” inspired by the chaos in Washington, D.C., opened at Visions Art Museum in San Diego, and then traveled to Arizona and Utah as part of a group exhibition of “Things That Matter”. “Feeding Time at the Swamp” traveled extensively in a group show entitled “Threads of Resistance”. “Blood Line” shown at the Textile Museum, Washington, D.C.
“A Meditation on Time” is currently on exhibit at the United States’ Croatian Embassy in Zagreb as part of the State Department’s Art in Embassies program. “I’m a Frayed Knot” at Orange Coast College Frank M. Doyle Arts Pavilion in Costa Mesa, CA. Invitational exhibition. “Faces of Color” exhibition at Bethune Cookman University, Daytona Beach, FL, Invitational exhibit. “I Am America: Black Genealogy Through the Eye of an Artist” invitational exhibit at the San Francisco Main Public Library. Read more about the exhibit. Alice’s quilt “Entre Nous,” was juried into the prestigious exhibition of contemporary quilting, Quilt National 2011entre no. The Dairy Barn Arts Center, Athens, OH. 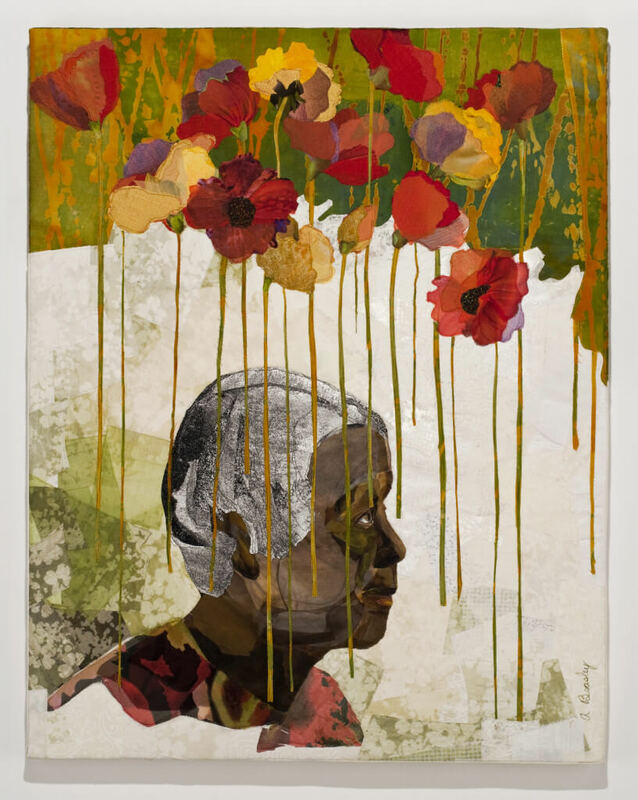 Two works (“Roots” and “Love in Bloom”) were on display in the residence of the United States Ambassador to Namibia as part of the ART in Embassies Program. “Textural Rhythms: Constructing the Jazz Tradition”, invitational exhibit, toured nationally. Sixty-four quilts (including Alice’s “Miles Ahead”) presented by the Women of Color Quilters Network displaying the interplay between jazz and art. Venues included the Smithsonian Anacostia Museum, American Folk Art Museum, the New York State Museum and the Rutgers University Art Museum. “Changing the World One Thread at a Time”, Val d’Argent Expo, Ste. Marie aux Mines, Haut-Rhin, France, invitational exhibit. “El Arte de Coser Arte” (The Art of Sewing Art), invitational exhibit at the Museum of the Americas, Madrid, Spain. “Women of Taste: A Collaboration Celebrating Quilt Artists and Chefs” — traveled throughout the United States under the auspices of the Smithsonian Institution Traveling Exhibition Service. “Sewing Comfort Out of Grief: The Oklahoma City Children’s Memorial Art Quilts” —Alice was one of twenty quilters invited nationwide to exhibit a quilt dedicated to the children who died in the Oklahoma City bombing. Sponsored by the Helias Foundation for Art and Human Rights. Nu Group, Alice’s six woman art critique group has, its first joint show, “Momentary and Timeless” at the San Jose Museum of Quilts and Textiles. “Fibre Theatricks” at the Harrington Gallery, Firehouse Arts Center, Pleasanton, CA. Alice’s portrait of Congresswoman Barbara Lee was on display at the Robert Mann Gallery, New York City. “Guns: Loaded Conversations”, San Jose Museum of Quilts and Textiles, San Jose, CA, April 20 – July 15, 2018. “Feeding Time at the Swamp” opened at the New England Quilt Museum, Lowell, MA. It will be traveling the United States throughout 2018 as part of the exhibition “Threads of Resistance”. 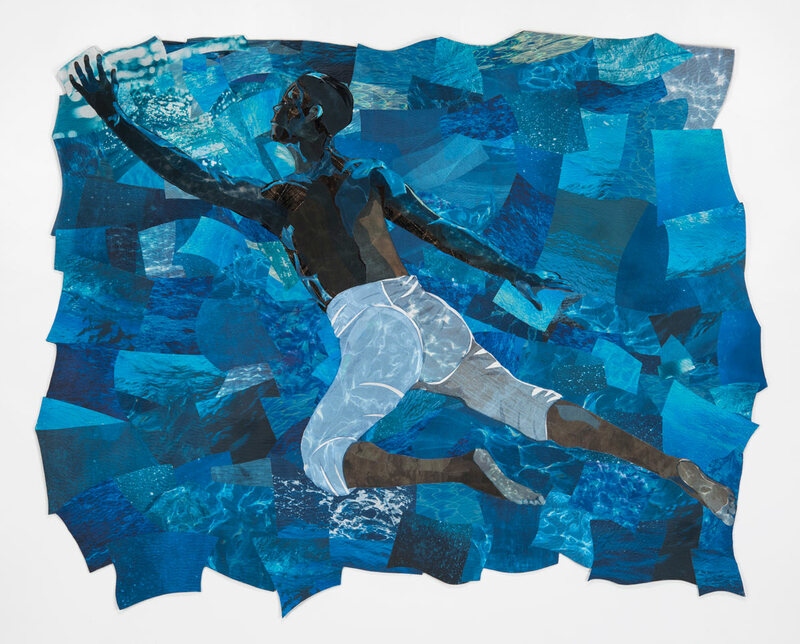 “Dynamic Diversity: Quilts by African-American Artists”, Texas Quilt Museum, LaGrange, TX. “theNeuwPolitic: Artists Explore” Petaluma Arts Center, Petaluma, CA. Alice’s piece, “No Vote, No Voice” was awarded 1st Place. “Boldly Stitched: Contemporary Art Quilts”, Lawrence Arts Center, Lawrence, KS. “Never, Ever Forget”, Brickhouse Gallery, Sacramento, CA, Alice was the featured artist at this event. “Tangled: Fiber Art Now,” Taubman Art Museum, Roanoke, VA.
“The Fabric of Our Culture,” Joyce Gordon Gallery, Oakland, CA. Alice was invited to exhibit six of her works. “Quilt & Fiber Arts Festival,” LaConner Quilt & Textile Museum, LaConner, WA. “Tasty Too: Food Inspired Quilts,” San Jose Museum of Quilts and Textiles. Alice was invited to include her quilt “Bette’s Diner”. “Painting in Fabric”, Hanford St. Gallery, Sutter, CA. “Tuesday in the Park with George” and “The Basket Maker” Alice was invited to exhibit at the Pi Gallery in Kansas City, MO as part of “BREAK: Rhythmized Textiles from the African Diaspora”. “Folks in Fiber” Cahoon Museum of American Art, Cotuit, MA., invitational exhibit. “Fiber Arts 2001” Gallery 510 Arts Guild, Ltd., 510 W. Decatur St., Decatur, Ill.. Recipient of the Juror’s Choice Award, the Nova Gallery Award of Excellence and the People’s Choice Award. Juried exhibit. “A Communion of the Spirits: African-American Quilters, Preservers and their Stories”; Natural History Museum of Los Angeles County. Invitational exhibit. The Shorenstein Company, 45 Fremont St., San Francisco, CA Invitational exhibit. Alice was invited to participate in “Fabrications: Quilts for the Next Century”; Plaza East Bay Municipal Utility District headquarters, group show. “Go Figure”; San Jose Museum of Quilts and Textiles. Alice’s quilt, “The Three Graces” was exhibited. “Daughters of Harriet Powers” Museum of African American Art, Tampa, FL, and the Octagon Arts Center, Clearwater, FL. Gallery, Bank of America World Headquarters, San Francisco, CA. Invitational exhibit. Loss: Public/Private, Joyce Gordon Gallery, Oakland, CA. “Portrait Quilts: Artist’s Exhibit, The Shorenstein Building, 45 Fremont St., San Francisco, CA,. • Thirteen Moons Gallery, Santa Fe, NM, • AirTouch Corporate Gallery, San Francisco, CA. Memories, Dreams & Reflections”, New Pieces Gallery, Berkeley CA. Quilter’s Newsletter, April/May 2014, No. 439, p. 18. “Bette’s Diner” quilt shown. Art Quilt Portfolio: People & Portraits, edited by Martha Sielman, published by Lark Crafts. Alice is featured in Patchwork Tsushin, No. 166. Pp. 99-100. Masters: Art Quilts, Vol. II published by Lark Books. Homage to African-American Artists, limited edition desk diary produced by the United States Department of State for use as the official gift of U.S. Ambassadors and other American Embassy diplomats. (“Love in Bloom” and “Roots” featured). Journey of Hope in America: Quilts Inspired by President Barack Obama, published by Voyageur Press. Two of Alice’s quilts (“The Basket Maker” and “Global Warning”) are included in 500 Art Quilts, published by Lark Books. “Miles Ahead” is shown in the August/September issue of Quilting Arts Magazine. Alice was featured on “Simply Quilts” on House and Garden television network. Show #824. Alice was featured in an article in the California Daily Journal, “East Bay Attorney/Quilter Finds Peace in Piecing”. “Behind the Barricade” is shown in Issue No. 8 of Art Quilt Magazine. Alice’s quilt “III Boyz” appears in Fiberarts Design Book Six,. Joseph & Geraldine Walsh, Lagunitas, CA. Alice’s quilt “No Vote, No Voice” was adapted as a billboard in Bayview Hunters Point area of San Francisco, in support of voting rights. After “Meditation on Time” concluded its exhibition at the U.S. Ambassador’s residence in Zagreb, Croatia, the piece was acquired for the permanent collection of the United States Embassy in Chad. 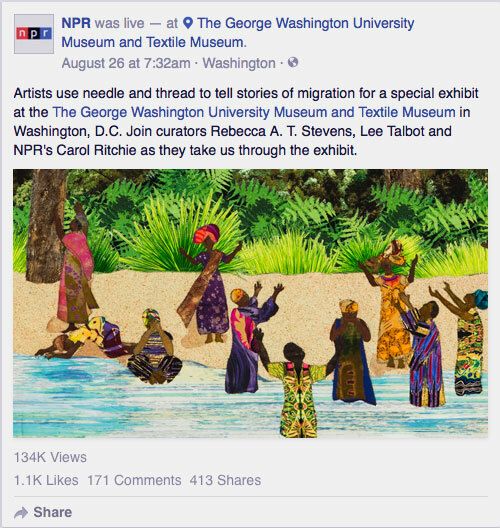 Alice’s quilt Blood Line is featured prominently in the National Public Radio‘s story on Stories of Migration, a joint exhibit between Studio Art Quilt Association (SAQA) and the George Washington University’s Textile Museum.